Pevzner M.M. 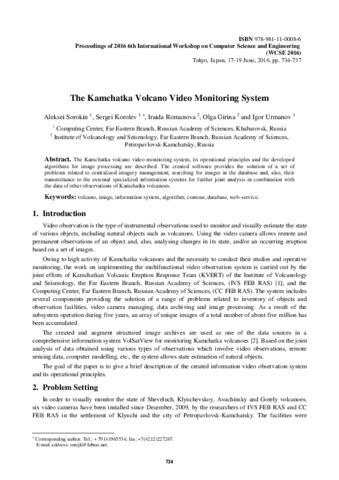 The First Geological Data on the Chronology of Holocene Eruptive Activity in the Ichinskii Volcano (Sredinnyi Ridge, Kamchatka) // Doklady Earth Sciences. 2004. 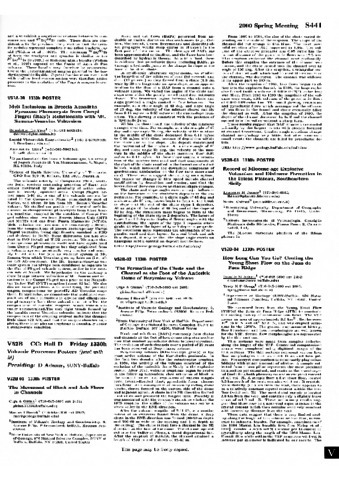 V. 395A. № 3. P. 335-337. 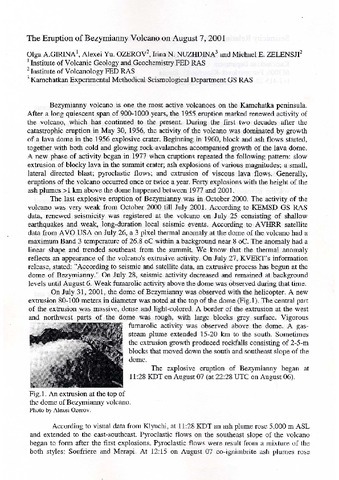 In 1975–1976 a remarkable volcanic eruption took place on the Kamchtka peninsula, part of the Soviet Union's arc of active volcanoes. 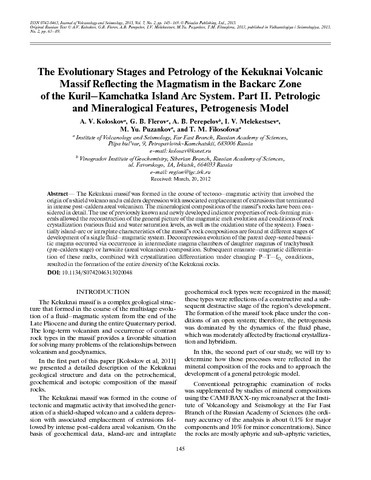 Dr Fedotov and his colleagues studied the largest basaltic eruption in history, one of the most important volcanic events in the twentieth century. During this prolonged eruption they carried out extensive seismological, geophysical, geodetic and geochemical investigations. 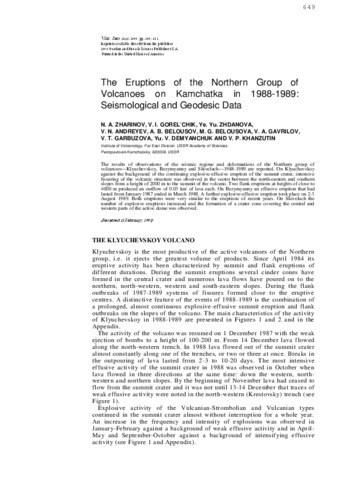 The results of this detailed and thorough investigation were collected as a series of papers under the editorship of S. A. Fedotov and collected into this volume, which was originally published by Cambridge in 1983. 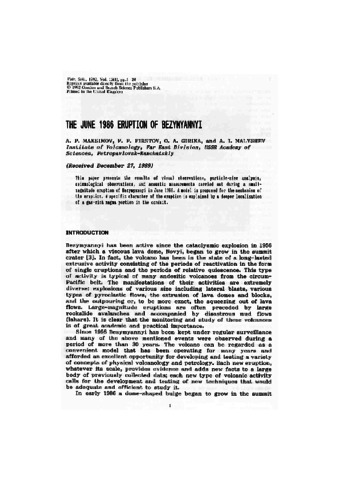 The result is a classic descriptive work of a major volcanic eruption.